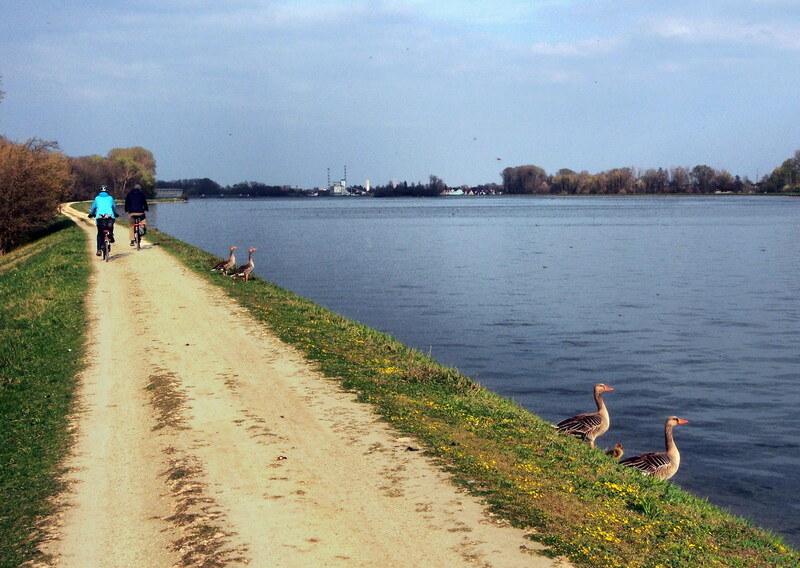 Within DANUBEparksCONNECTED, the Danube-wide flood prevention dyke evolves from its origin as flood prevention infrastructure to Green Infrastructure, linking valuable dry habitats. 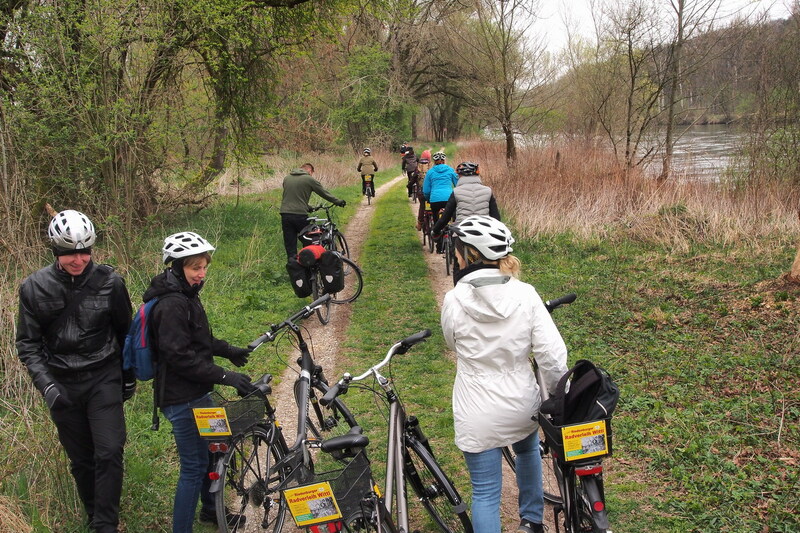 The flood prevention dyke along the Danube is a "corridor" not exclusively for animals and plants, but also for people: more and more tourists use the Euro Velo 6 for cycling and recreation. 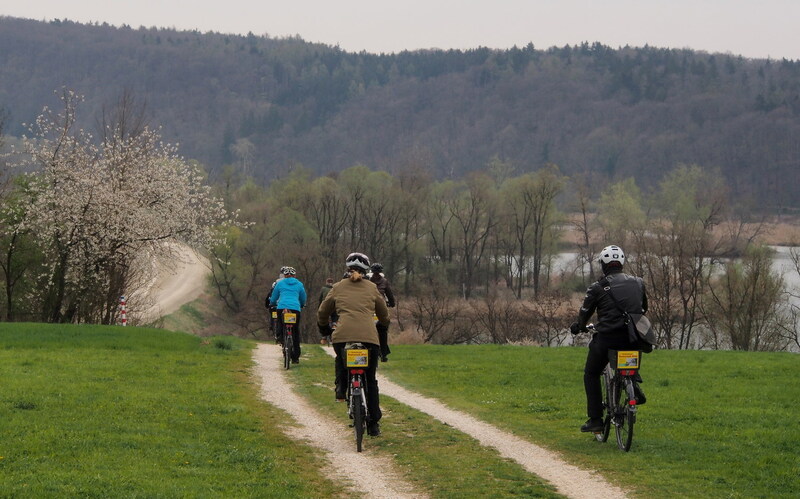 Our professional cyclist Jovan Eraković is travelling along the EuroVelo 6 from 12th April to mid-June and visits all DANUBEPARKS Protected Areas to learn more about the implemented nature conservation activities of DANUBEparksCONNECTED. 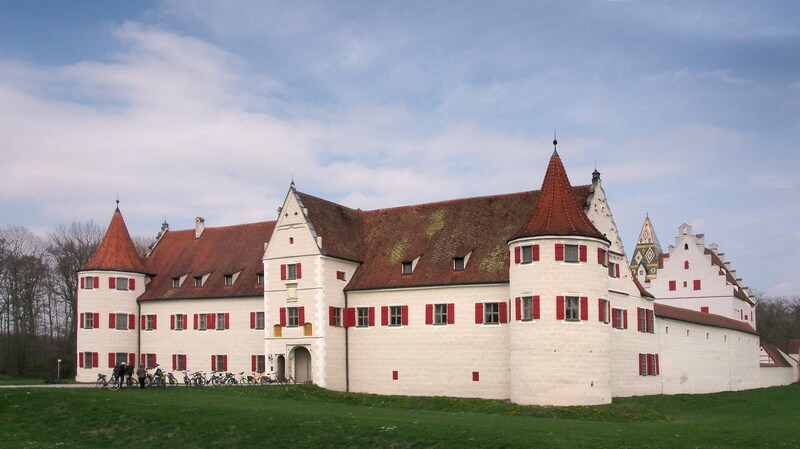 The ride with Mr. Geißler ended in the castle Grünau. 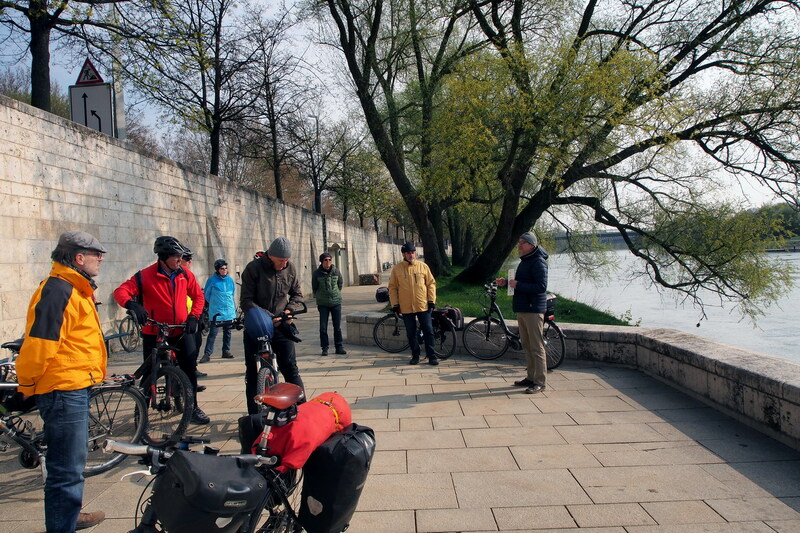 Another group of cyclists was already waiting there, led by Mr. Thomas Schneider, Danube and climate commissioner from Ingolstadt Department for health, climate protection, and environmental protection. Also with us is Dr. Rupert Ebner, a member of the Ingolstadt city Council and officer for health, climate protection and environment. The castle hosts a modern outdoor visitor center opened in 2008. 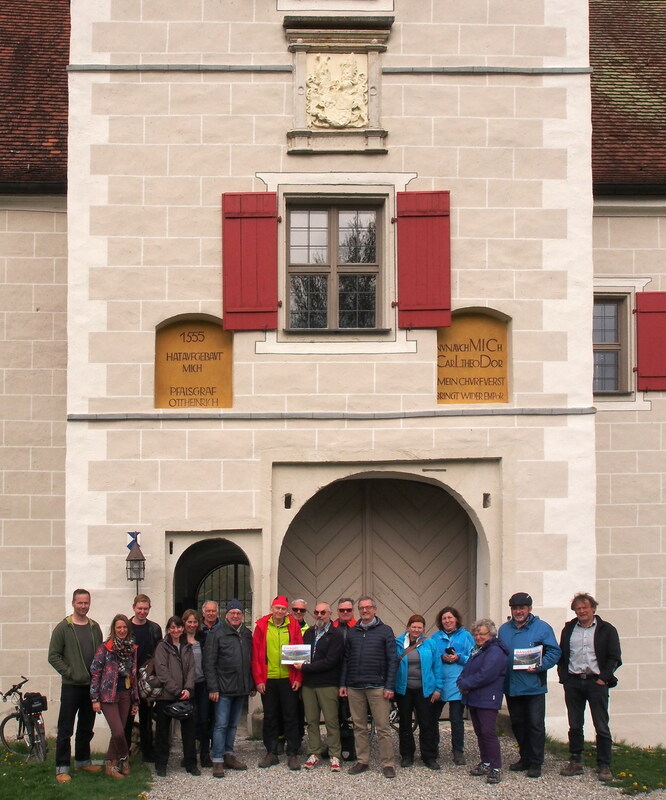 It was established by the district of Neuburg-Schrobenhausen, in order to underline the importance of the natural heritage and to support the renaturation of the Danube. 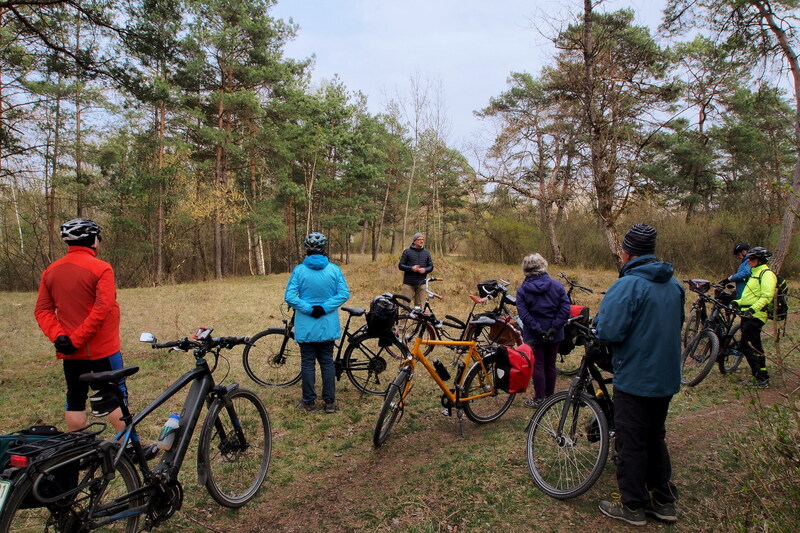 The center is a „package“ of the entire competence of the European outdoor subject – from experiences of the past and awareness of the current situation to development of future visions and strategies for the region. 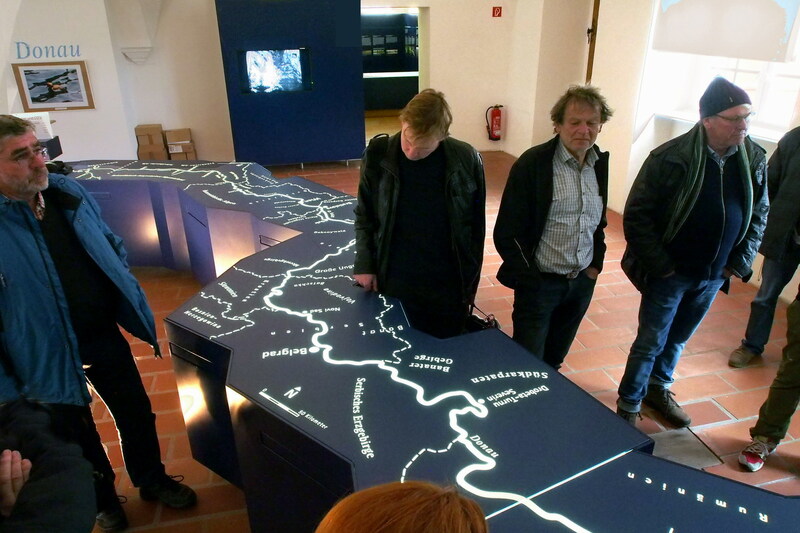 It serves research, information of the public and the exchange of experience on the topic floodplain and river, thanks to the fact that it contains three main pillars under one roof, cooperating closely with each other: Aueninstitut, Aueninformationszentrum, and Auenforum. 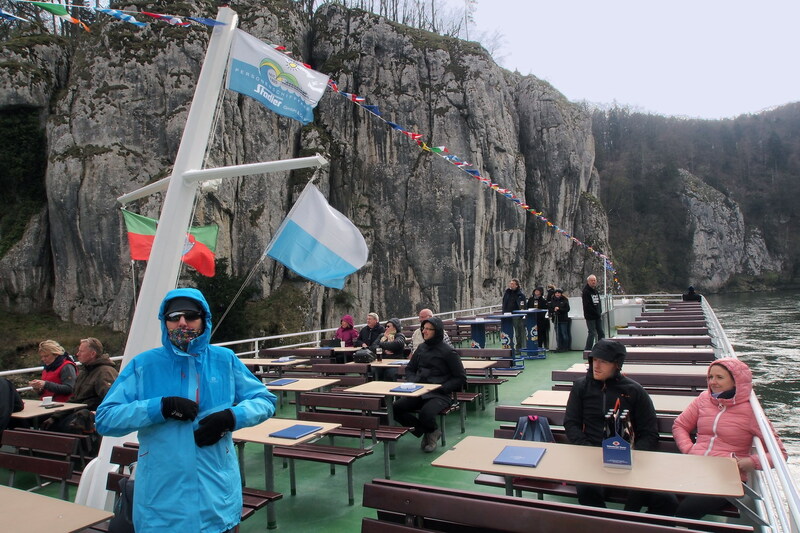 The visitor center’s home specialty is the whole Danube on a buffet – please serve yourself. 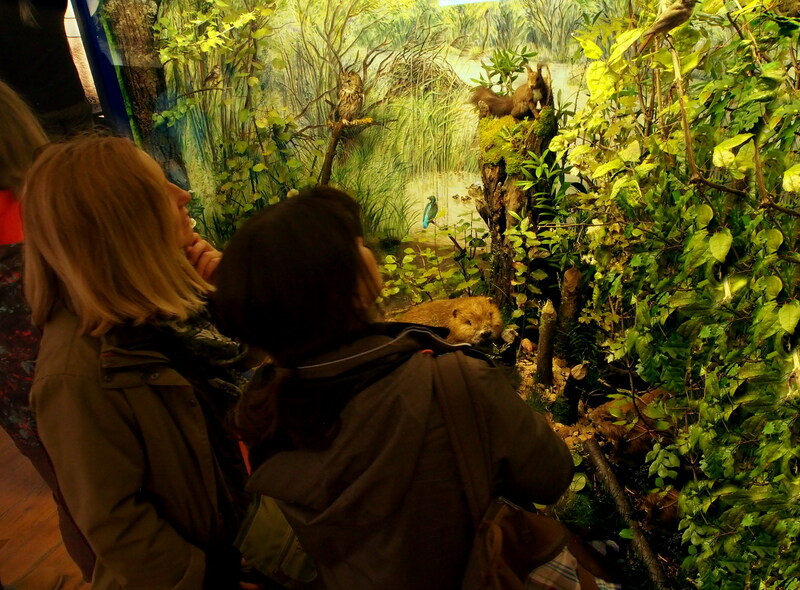 And there are some other scenes to enjoy in the theatre of Nature. Wait… is it dangerous? Ahem… not really, see below. Dr. Ebner's other serious life preoccupation is the "Slow Food". As a treasurer and international counselor, he preaches a food philosophy that is not much different from any fair ecology approach: „Food should be: good, clean and fair. “Good” (taste) does need more explanation, „clean“ means that it should not contain any harmful ingredients and "fair" means that it should be produced without economic, social or political exploitation of the workforce and small manufacturers in general. 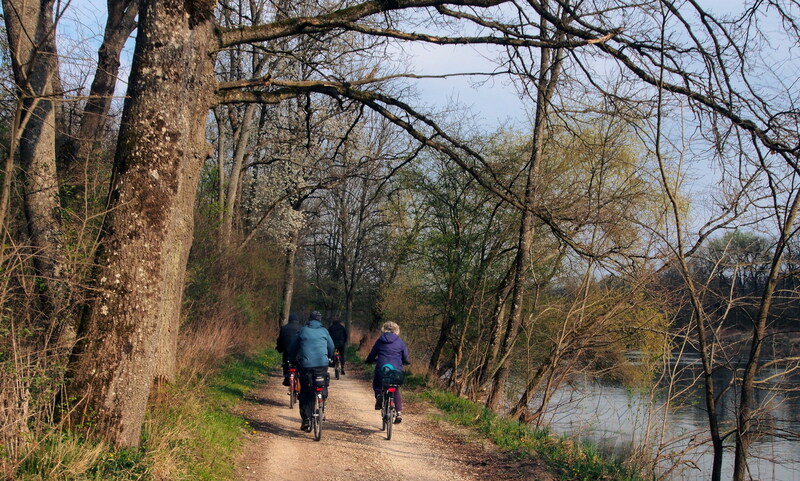 One kilometer from the castle we crossed the stream Ott-Heinrich. 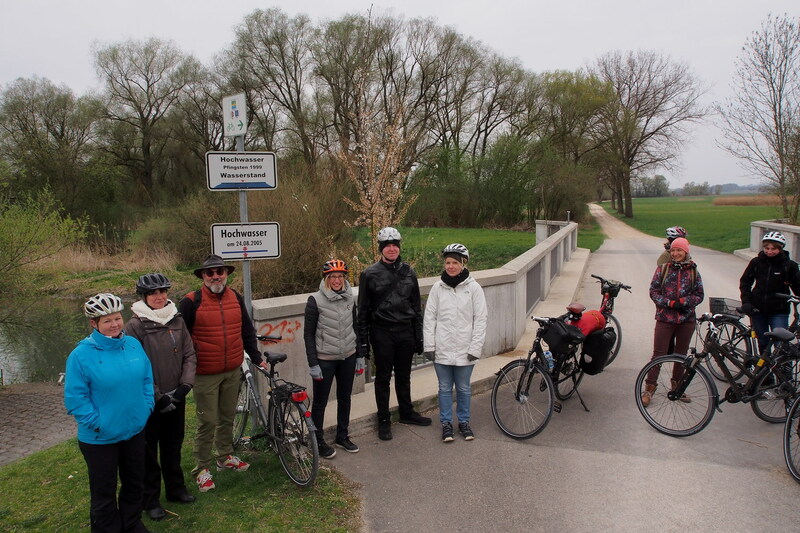 This was actually a canal made in 2010 as a joint effort of Ingolstadt and Bavarian administration in order to turn the zone back again into a regular flooding area. When a pebble bed gets colonized with plants adapted to such lean and dry site, a new special biotope, so-called “Brennen” is born. These semi-arid grasslands contain even a number of alpine plants that were transported by the river and its tributaries, and in the wake of the plants, diverse wildlife settles on. Orchids species, various gentians and other flowering plants, special insects, butterflies (some of them on the Red List of threatened animals in Bavaria) can be found in these dry, nutrient-poor habitats. Considered as wastelands in the past, dry grasslands are still endangered today. Thomas explains that the biotope we are looking at the moment supports its plants with app. 5 cm thick layer of hummus. 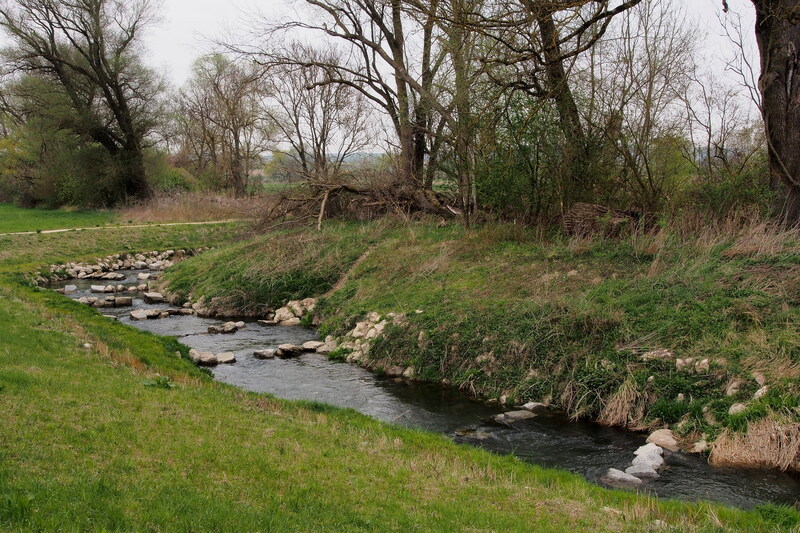 Leaves and other organic material was brought by the river during periods of high water levels, but pebble was necessary to crush and grind that material into a fine-grained mass containing the necessary minimum amount of nutrients. Numerous hydroelectric power plants built in the second half of the 20th century block pebble transport and distribution along the river so the big “organic mill” barely works today. Grazing is important to keep dam sides in good condition. And herds consisting of sheep and goats (like this one) are an especially efficient tool: sheep cut the higher grass while goats do fine trimming, eating what is close to the ground. 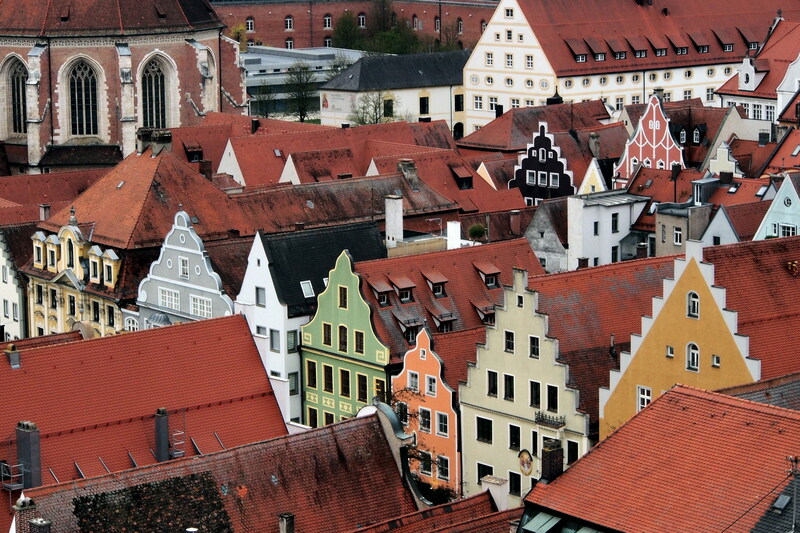 Then suddenly – high above Ingolstadt! This the charm it spells in front of a curious eye perched on top of the city tower. 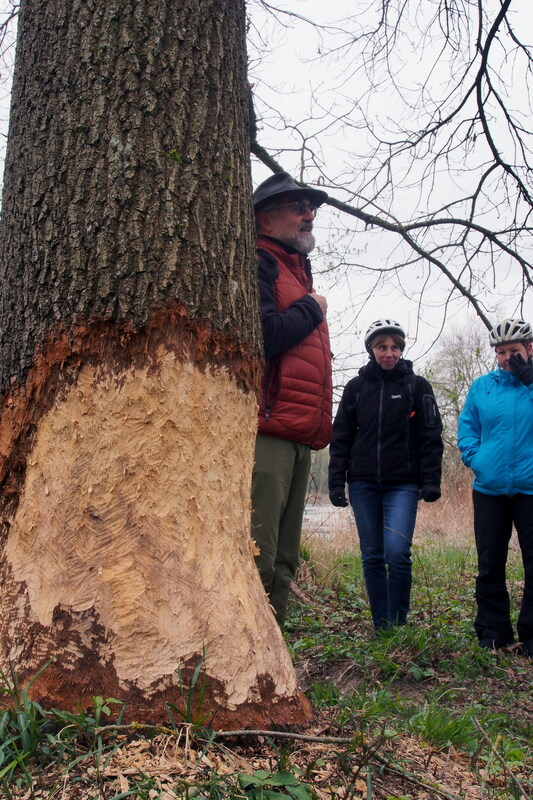 "Ingolstadt Natur" is a project of which Thomas is particularly proud as it brings a new quality in city’s habitat and offers a potential to bridge the gap between landscape architecture and nature conservation. The basic idea behind it is that the „green infrastructure“ is as important to the human society as other infrastructures such as electricity grids, road networks, etc. Standard urban planning procedures do not create a green infrastructure. On the other hand, the focus of the nature conservation is usually just on sensitive remaining areas that already see little influence of humans – it does not target places with no wilderness left (including urban zones, off course). As a consequence, such places do not get in scope as candidates for green infrastructure. Urban planning and conservation actually often work against each other. The desired species are chosen at the beginning of a project. The requirements of the target species (i.e. their life-cycles) then set a frame / boundary conditions and serve as an inspiration for the design. You can find here a very interesting booklet that describes the whole concept in detail (in German only but shown design examples speak for themselves). 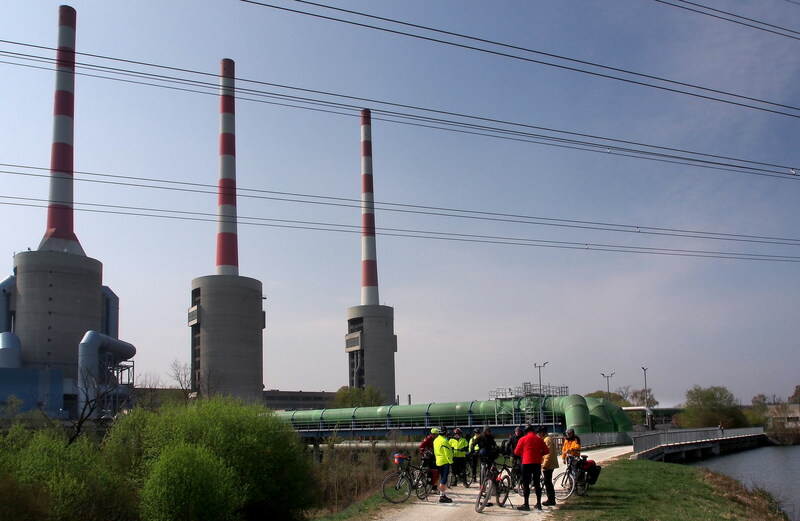 High gas price is the reason why this 5 years old power plant between Mailing and Großmehring works only during quite rare emergency situations in the electric network. River water is used for cooling the plant and projected increase of its temperature at the exhaust side is only 1 degree Celsius. But even that much brings quite considerable strain to the habitat: warmer water contains less oxygen, which is not suitable for some fish and plants species. 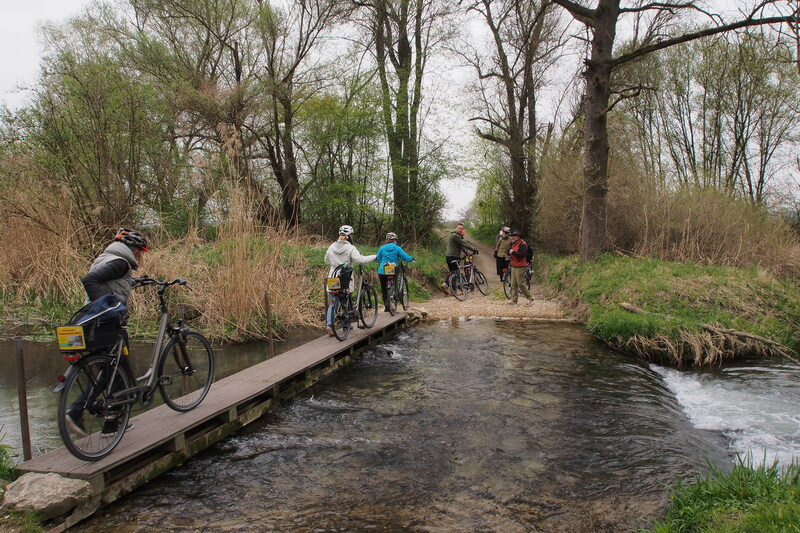 Crossing the river every so often is a popular sport, thanks to the perfect cycling network: there is usually a path at both sides and there surely is no shortage of bridges and ferries. 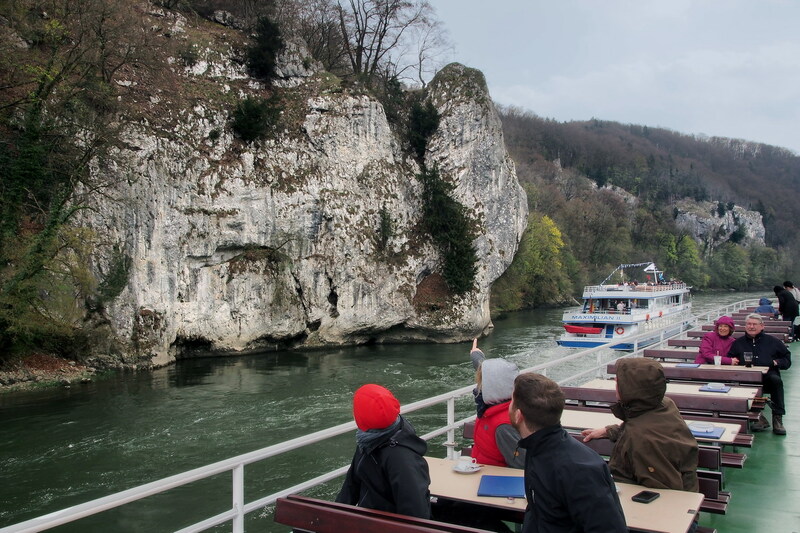 We went by boat from Weltenburg to Kelheim. 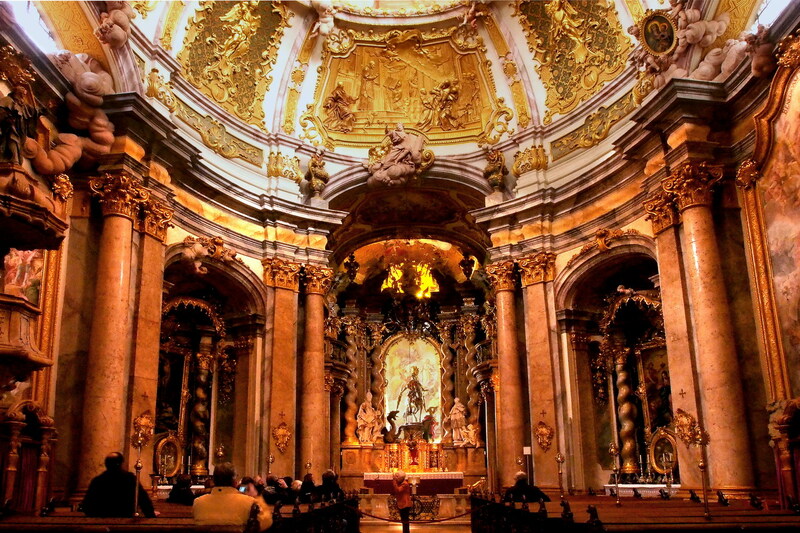 But before that, the famous monastery Weltenburg is a must see. Here is a scene from the church. So here we are - six kilometers of sailing. Or was it six degrees Celsius? My memory fails when it comes to these numbers, but one is sure: that was a memorable passage through one of the most beautiful results of water-vs- stone outsmarting game along the Danube. At the beginning of all big tasks it is always nice to actually start with something... So I liked it very much when I experienced such a positive development as well. The spring? Well a spring is off course important, but even more important is how the water behaves after it. Will it, without any further ambition, agree to just fill someone's bottle? Or will it soon hide underneath a stone and remain remembered only as being too lazy for the "success is 10% of talent and 90% of work" rule? 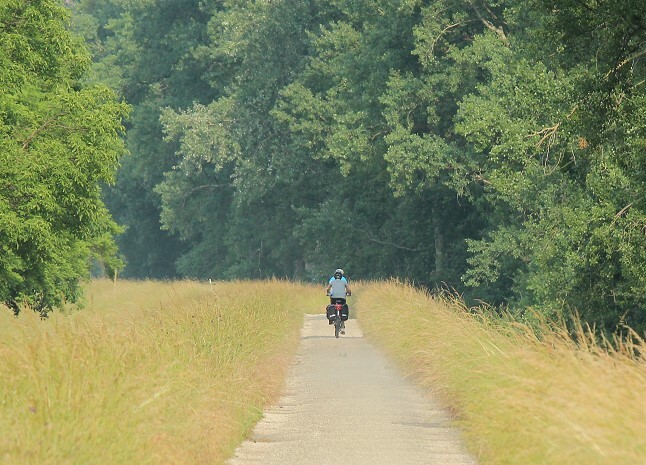 Or will it actually grow into a serious and socially engaged river, the one that (besides all other things it offers) gives you even a chance to follow it three thousand kilometers on the bicycle? To be sure, my first stop on such a long trip was where one could already have certain confidence to this water. 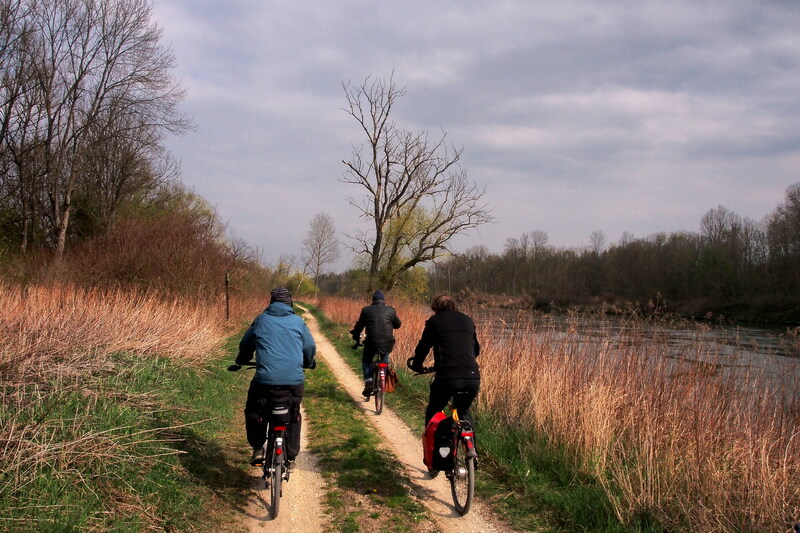 So let’s start with this: between Neuburg on the Danube and Ingolstadt lies one of the most important floodplain areas on the German Danube. 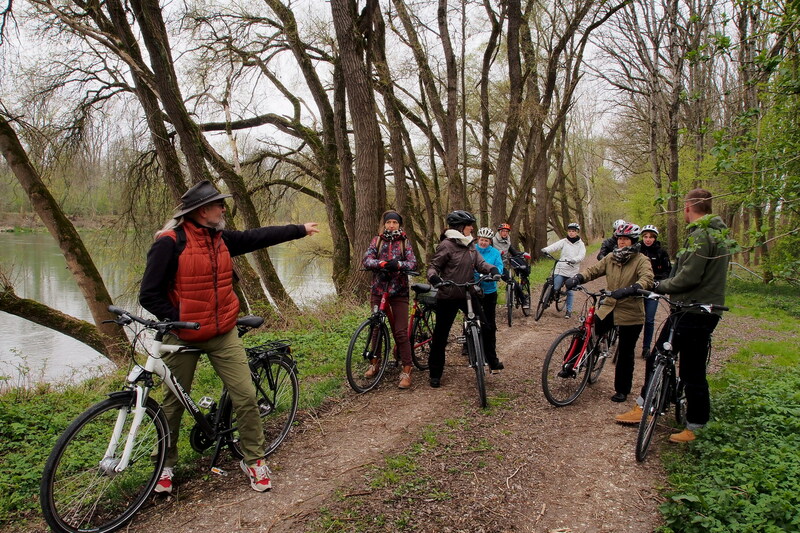 The Danube riparian forest Neuburg-Ingolstadt comprises the EU Flora-Fauna-Habitats Directive area ‘Danube Floodplains with Gerolfinger oak forest’ and parts of the Special Protection Area ‘Danube Floodplain between the mouth of the Lech and Ingolstadt’. 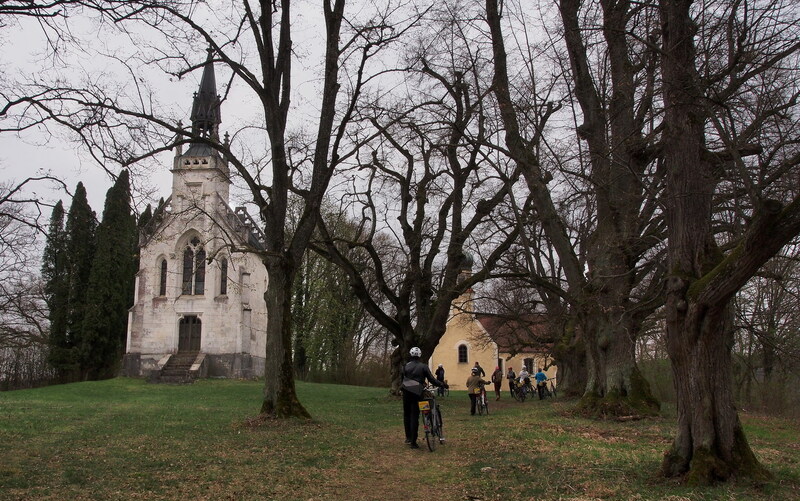 Its inheritance from the past is its very good preservation level - a happy consequence of the protection by the former Dukes of Bavaria as a hunting area. And today, one of the largest exterior dynamisation projects in Central Europe is currently taking place here. Which is even more important if we keep in mind that in last 100-150 years, due to all the dams built, Germany lost as much as 90% of its flooded areas. Our guide: Siegfried Geißler, nature conservation authority for the district Neuburg-Schrobenhausen. 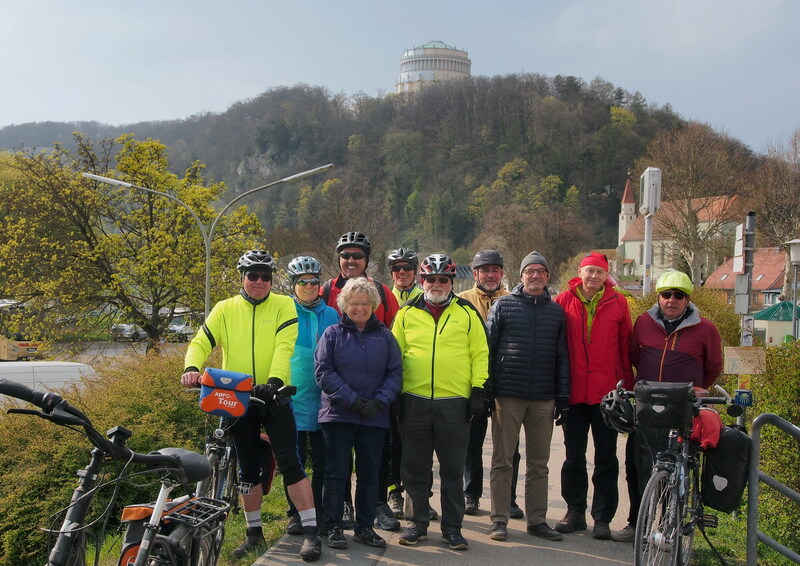 Immediately after start we descended to the Bertoldsheim Danube reservoir, an important bird habitat. 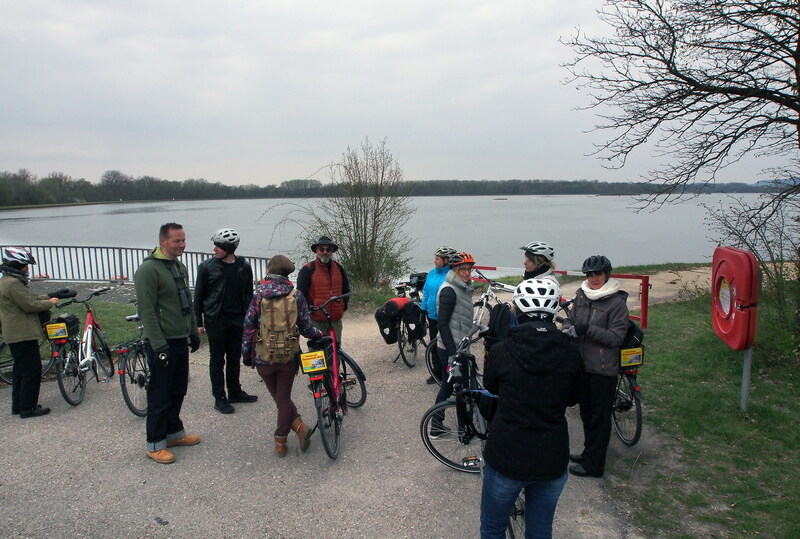 Two years ago a passage for fish was made near the dam - about 35 similar ones should be installed in Bavaria in the near future and each will cost from 1 to 5 million EUR. This one at 1.5 million EUR belongs to cheaper ones. But it isn’t perfect, explains Siegfried: it is narrow and water flows through it quickly, making it unsuitable for some fish species. 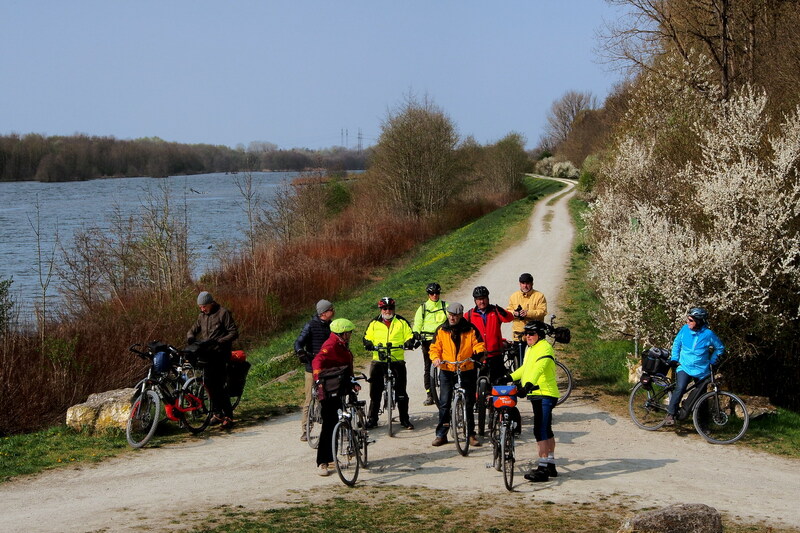 On the forest road to Stepperg there is always something interesting to discuss. Flood marks from 1999. and 2005. Except animals and plants, nobody else likes high water. But like it or not, it has an exceptional importance that can be compared only to the damage and misery it brings to human lives. The only solution? It should be kept far from settlements and enterprises. Easy to say, not easy (and cheap) to make it possible. 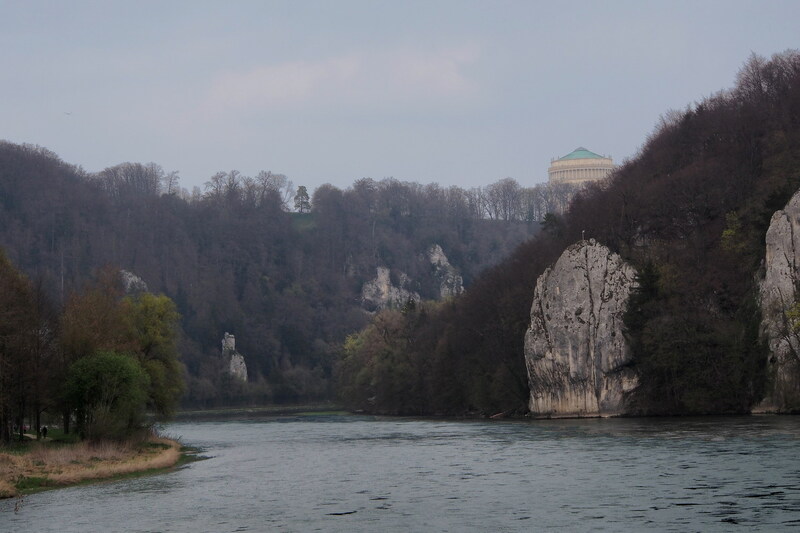 Magic of the natural monument Antoniberg, high above Stepperg and the Danube..
On the left, the tomb chapel of the aristocratic families of Arco and Moy. On the right, the humble Antonius chapel. Around: ancient oaks and old linden. To prevent the growth of semi-dry grassland, and to secure its biodiversity, a shepherd's shed is required. The goal of this project implemented by Jan Tenner is to establish a system that will change habits of shepherds in the region. Instead of always using the same old zones in their close vicinity, they would be directed to areas where characteristics of their flocks would fit current habitat needs. 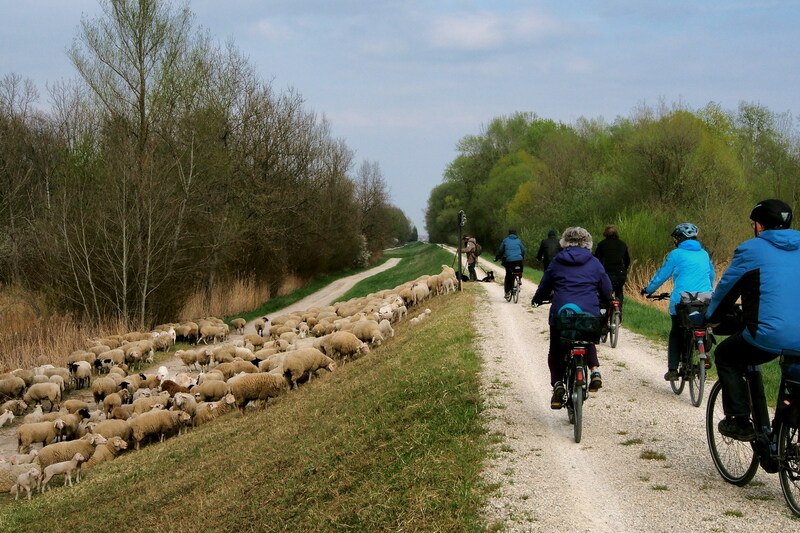 Becoming some kind of “shepherds without borders”, they would help to preserve and maintain health of local ecosystems.